20.4 cm. x 28 cm. 76.2 cm. x 101 cm. 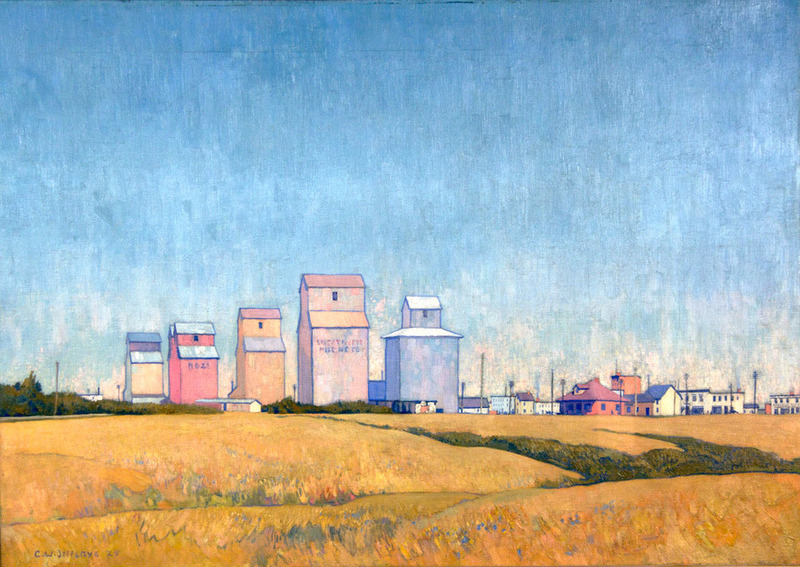 Based on sketches made of Gleichen, Alberta, in July 1924. 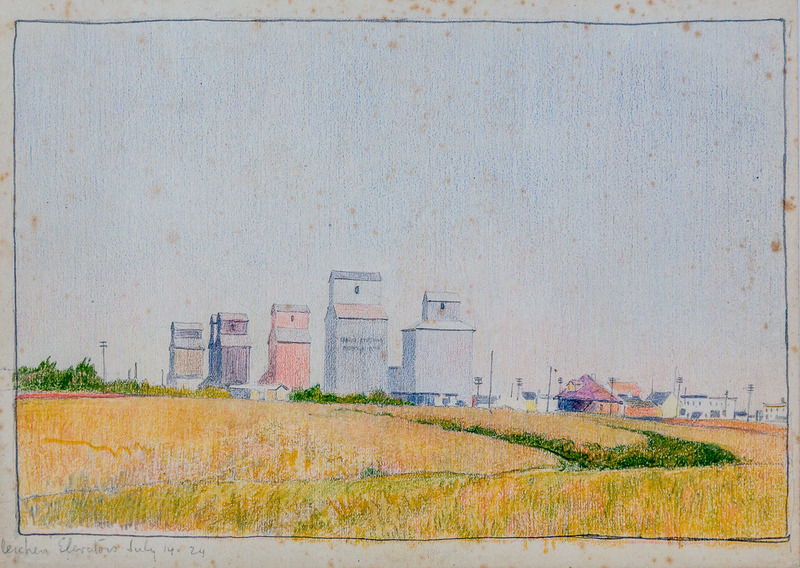 Called 'A Prairie Town (Five Grain Elevators)' in Jefferys' record of works on hand. Francis, R. Douglas. Images of the West: Images of the Canadian Prairies. “Art and artists.” In The Globe, Mar. 18, 1925, p. 15. “If Word Lovely Were Banned Some Would Be Tongue-Tied….” Toronto Daily Star. September 17, 1925.